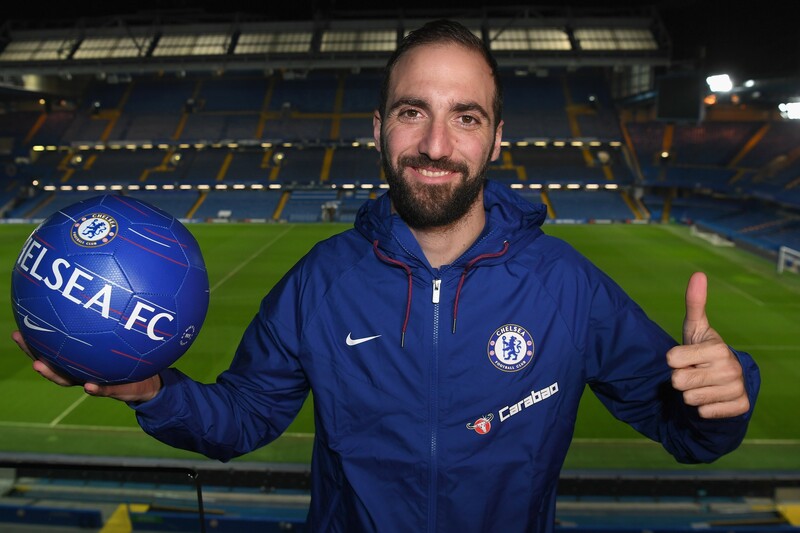 Chelsea have bolstered their attacking options with the addition of 31-year-old striker Gonzalo Higuain who will remain with the club on loan for the remainder of the season. The Argentine forward spent the first half of the season on loan at AC Milan after parent club Juventus included him in a deal that saw Leonardo Bonucci return to Allianz Stadium. Higuain has had a relatively quiet season thus far, scoring just eight goals in 22 appearances, but believes he can recapture his form at Stamford Bridge. “When the opportunity to join Chelsea presented itself I had to take it. It’s a team I’ve always liked that has a lot of history, a wonderful stadium and they play in the Premier League, a league I’ve always wanted to play in. The move comes amidst the news that Krzysztof Piatek will be joining AC Milan from Genoa for a reported £31million. The Polish striker has scored 19 goals in 21 games this season and would likely immediately start for Gennaro Gattuso’s men. Higuain meanwhile will wear the number nine jersey and has previously worked with Maurizio Sarri, with the forward scoring 36 goals in 35 league games under the Italian manager during the 2015/16 season. “Maurizio Sarri is the coach who, in my career, has got the best out of me as a player. He’s someone who knew how to work with me, particularly on the emotional side. Sarri was quick to praise Higuain with his side now preparing to face Manchester City in the Carabao Cup Final. “He’s a very strong striker, especially in my first season in Napoli he did very well. Blues Director Marina Granovskaia noted that Higuain has been a transfer target in the past for Chelsea and could be what to catch Spurs, who sit four points ahead of Maurizio Sarri’s side. ‘Gonzalo was our number one target in this transfer window and arrives with a proven record at the highest level. He has previously worked with Maurizio to great effect and is familiar with how the coach likes to play. The Blues will host Sheffield Wednesday this Sunday in the FA Cup and then travel to the south of England as they visit Bournemouth mid-week in the Premier League. Let me know your thoughts on the move on Twitter! Can Higuain excel despite the slow season in Milan?